We all know how important the pump is – it’s one of the biggest factors that separates a killer workout from an average one. 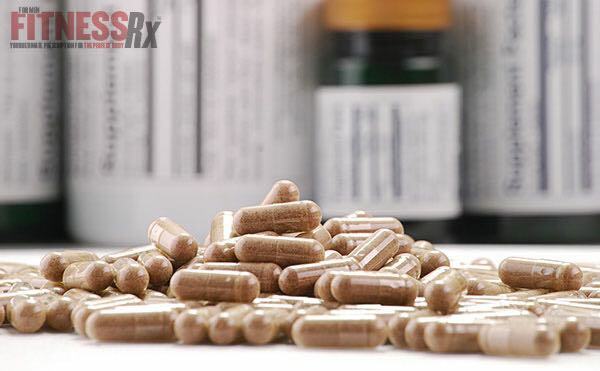 If you’ve been missing out, here are five supplements that can help you “blow up” for your next workout. This supplement has recently gained popularity and has replaced arginine in a number of pre-workout formulas. Agmatine is a product of decarboxylation of arginine. It can actually play many roles in the body as a neuromodulator that has multiple targets and induces multiple pathways, including NO synthesis. Agmatine can help stimulate nitrite production and also inhibit NOS, the enzyme that breaks down NO. Agamatine can also bind directly to the cell surface of endothelial cells and stimulate NO production. TRY THIS: If it isn’t already in your pre-workout, try supplemeting with 500-1000 mg of agmatine 30-45 minutes prior to training. Betaine has been shown to be effective for increasing NO levels, improving body composition and boosting performance. In one study, supplementing with 6 grams of betaine daily for 1 week resulted in a 62% increase in NO production. In a another, exercise-trained men using 2.5 grams of betaine per day for 6-weeks improved their bench press and showed significant improvements in body composition, including an increase in lean muscle mass. It’s believed that betaine decreases levels of homocysteine thiolactone or HCTL, as well as homocysteine – both of which can impair protein synthesis. TRY THIS: Effective dosing for Betaine ranges from 2.5 to 6 grams per day. This natural extract is high in natural nitrates, which can help promote production of NO via the nitrate-nitrite-NO pathway. Stimulating NO production with this pathway reduces oxygen consumption, and therefore allows for prolonged exercise performance at a higher rate. Beet root extract has been shown to influence muscle contraction, enhance blood flow and muscle pump, improve exercise efficiency, reduce exercise fatigue and improve exercise performance. TRY THIS: Beet root extract is usually found blended in a pre-workout or pump product. If taken on it’s own, try dosing with of 500 mg 30 to 45 minutes prior to training. Citrulline supplementation helps increase plasma levels of arginine. This in turn can help increase the arginine + oxygen pathway of NOS pathway of NO production. But citrulline can do much more than just increase NO production and give you a better a pump, it can also improve aerobic and anaerobic endurance, modulate energy pathways, reduce ATP and phosphocreatine depletion and accelerate replenishment – which means less fatigue. It can also help buffer muscle acidosis, another way it can extend time to fatigue. Citrulline may also play a role in protein synthesis pathways, helping with the recovery process. Citrulline can be found in many products including pre-workouts, pump and post-workout recovery products. TRY THIS: If you want to use this supplement on its own, research has shown that you will need a hefty dose – of upwards of 5 to 10 g per day. Many physique competitors swear by red wine for its vascular-promoting effects when pumping up before stepping on stage. Research shows that the polyphenols in red wine can be effective for promoting NOS expression and NO release, promoting vaso-relaxation of blood vessels. Red wine extract can also help reduce inflammatory molecules and improve circulation and blood flow, which means more nutrients can get to the muscles as you lift and get your blood pumping. TRY THIS: Look for a standardized extract of at least 50% polyphenols and use at least a 50 mg dose 15 minutes prior to training. Bailey SJ, et al. Dietary nitrate supplementation enhances muscle contractile efficiency during knee extensor exercise in humans. J Appl Physiol. 2010. 109(1): 135-48. Bailey SJ, et al. Dietary nitrate supplementation reduces the O2 cost of low intensity exercise and enhances tolerance to high-intensity exercise in humans. J Appl Physiol. 2009. 107(4): 1144-55. Cholewa JM, et al. 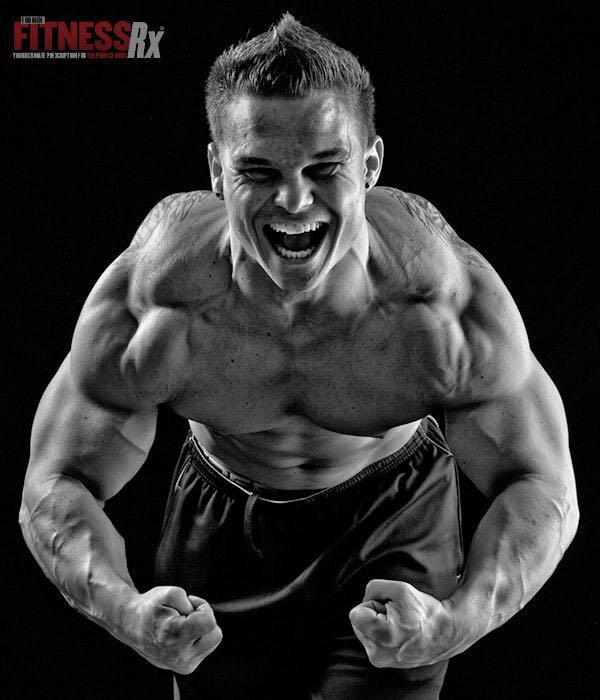 Effects of Betaine on body composition, performance and homocysteine thiolactone. JISSN. 2013. 10: 39. Iqbal O, et al. Betaine a novel anti-coagulant with combined nitric oxide and tissue factor pathway release potential. Implications in the management of peripheral vascular diseases. J Thromb Haemost. 2005. 3(Supp 1): P0520. Leikert JF, et al. Red wine polyphenols enhance endothelial nitric oxide synthase expression and subsequent nitric oxide release from endothelial cells. Circulation. 2002. 106: 1614-17. Raghavan SA, Dikshit M. Vascular regulation by the L-argnine metabolites, nitric oxide and agmatine. Pharmacol Res. 2004. 49(5): 397-414. Schwedhelm, E., et al. Pharmacokinetic and pharmacodynamic properties of oral L-citrulline and L-arginine: impact on nitric oxide metabolism. Brit J Clinical Pharm. 2008. 65(1):51-9. Sureda A, et al. L-citrulline-malate influence over branched chain amino acids utilization during exercise. Eur J Appl Physiol. 2010. 110(2): 341-51.